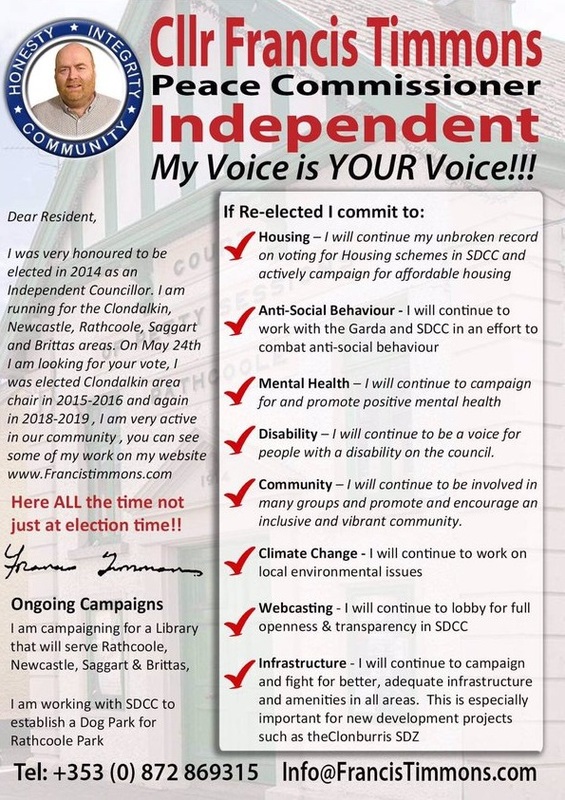 A Leaflet from Francis Timmons who is running as an Independent in Clondalkin for a seat on South Dublin County Council. 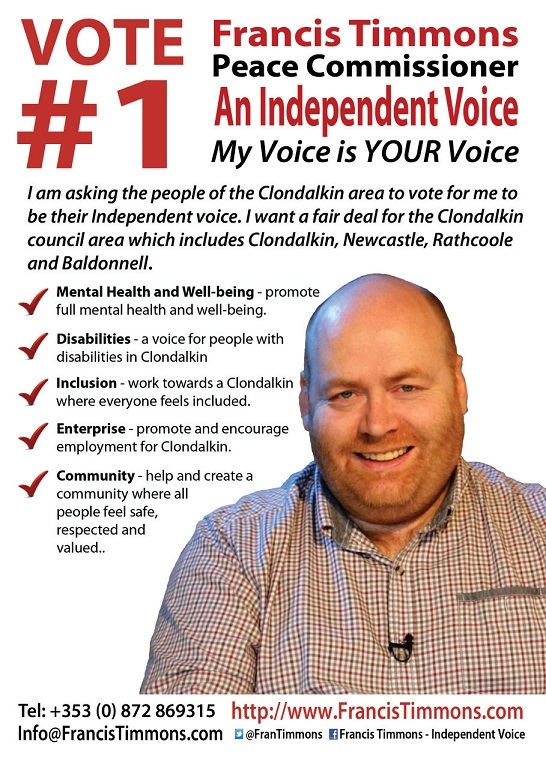 A Leaflet from Robert Dowds who is running for Labour in the Clondalkin LEA for a seat on South Dublin County Council. 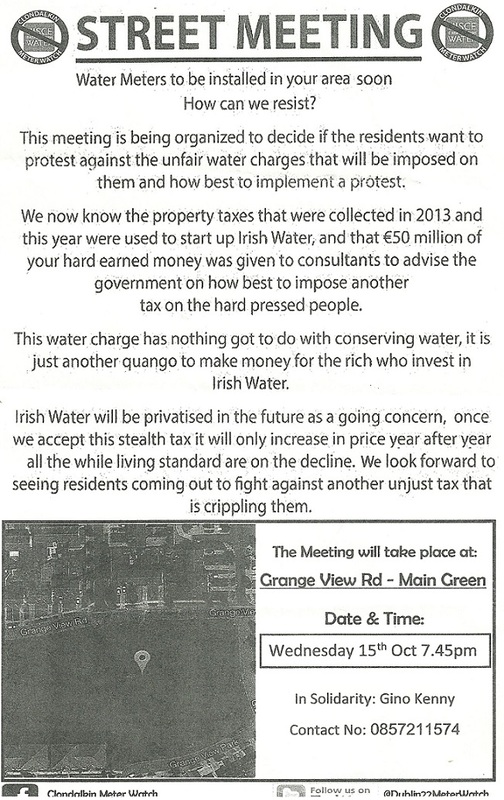 A leaflet from Clondalkin Meterwatch (in association with Gino Kenny advertising a Street Meeting to decide if residents want to protest against water charges. 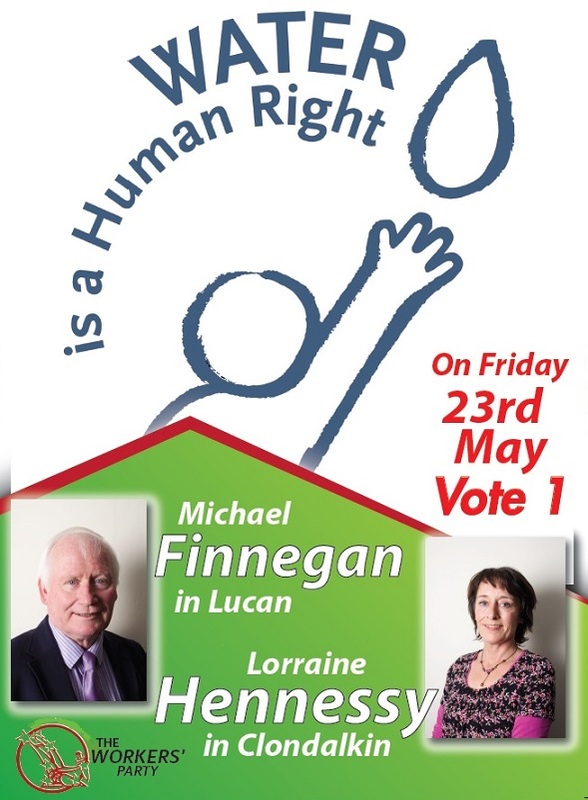 “Water is a Human Right” a leaflet from Workers Party Lucan and Clondalkin candidates Michael Finnegan and Lorraine Hennessy. 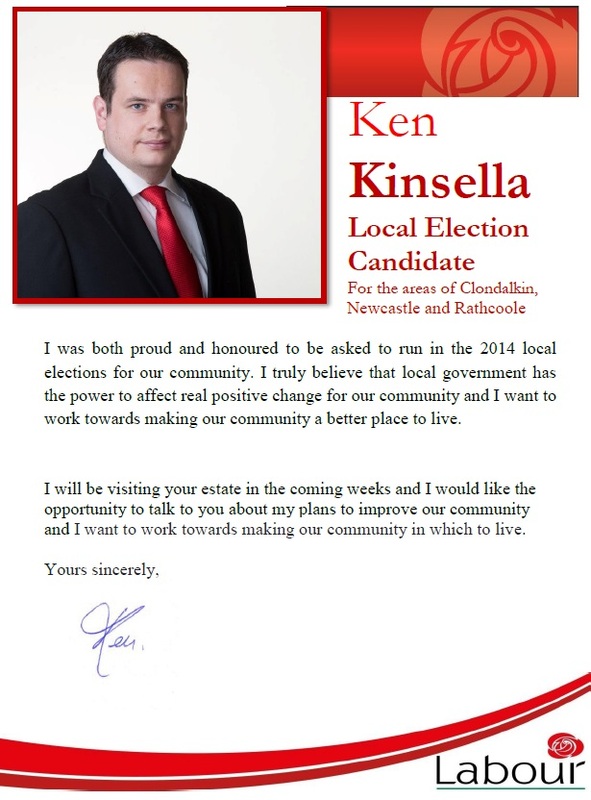 A leaflet from Ken Kinsella Who is running for Labour in Clondalkin for a seat on South Dublin County Council. A leaflet for Paul Doran who is running for The Communist Party of Ireland in Clondalkin for a seat on South Dublin County Council. As far as I’m aware this is the first election that the CPI have contested since the 2002 NUI Seanad Election.